Despite falling numbers, the UK still experiences an average of 1,100 burglaries per day. That’s 1.33 every minute. With each offence costing a homeowner an average of £3,600 per incident, two clear questions emerge. How secure is your home? Also, what can you do to defend it? According to research gathered and presented in visual format by IronMongeryDirect, where you live may affect your risk, but also what you do to protect your home. For instance, they used a MoneySuperMarket report to establish that all of the most burgled properties in the UK are in London – with most occurring in the IG2-5 postcodes. Make sure you’ve locked doors and windows. 30% of all burglaries happen through open doors and windows. Consider deadbolts and double door locks if you’re in a crime prone area. 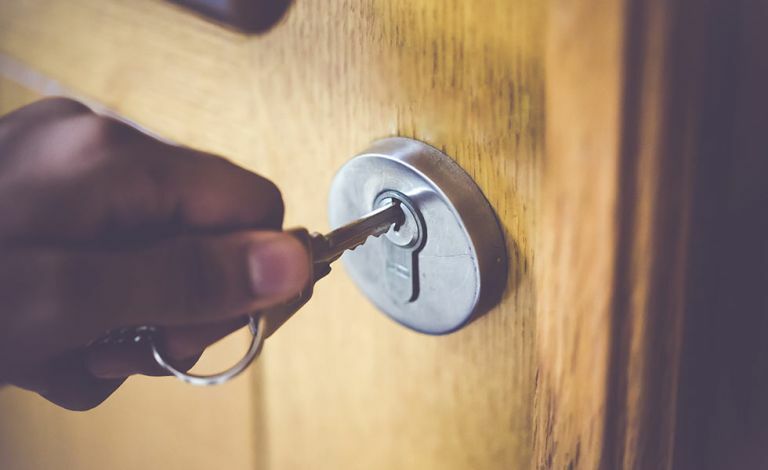 If you forgo good locks, you’ll be at increased risk, as a home that doesn’t use locks as part of a security system is 300% more likely to be burgled. Remove any easy access points to the top levels of your home, such as wheelie bins or tree branches that could be climbed. Fencing is a good way to deter burglars, but ensure it allows visibility so that neighbours can see if anyone is trespassing on your property. Install lights on a timer, which will help ward off burglars and look less obvious than a light left on permanently. Install motion sensor lights to deter theft. A home with both internal and external lights that also has double door locks is 50 times safer than one without these features. Fit a burglar alarm, which deters 60% of burglars from even attempting a theft. CCTV is a good option, as it has been found to be an effective deterrent – however, it’s a costly system and just 5% of 1,292 Which? members had CCTV fitted. However, London police admitted they solve just 6% of burglaries – so it may be worth your while to help identify thieves. By approaching your home as if you’re a burglar looking for an opportunity, you can quickly protect your premises. Remove elements of opportunity, increase visibility and invest in good locks. You can read more on securing your home over at Homebuilding & Renovating.